There’s nothing like resort-style living close to home. At MuraBella we don’t believe in saving the best recreation for vacation–we believe you should be inspired to play every day. Our amenities reflect your passion for the active life. 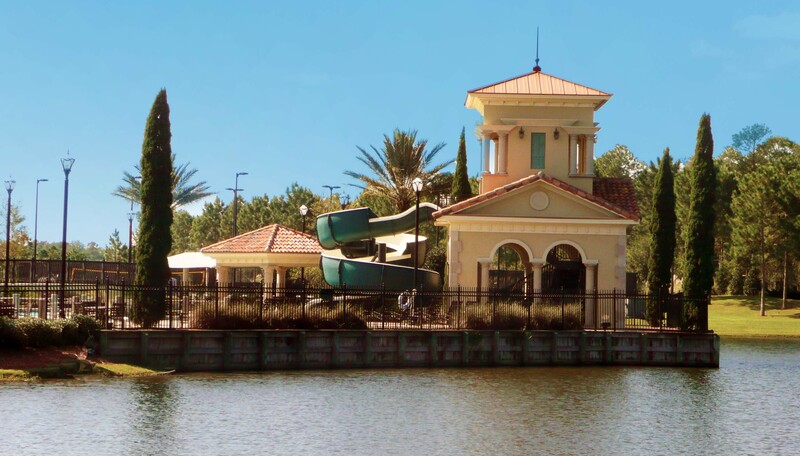 Join your children on the waterslide or playground, exercise in the state-of-the-art fitness center or outside on one of our athletic fields or sports courts. Relax with friends or toast a special occasion on the elegant clubhouse terrace. MuraBella is a community with outstanding recreational opportunities for all ages. Life’s a journey; at MuraBella you’ll have fun along the way.